Ontario’s new finance minister says the previous Liberal government has saddled the province with a $15 billion deficit this year, more than $8 billion larger than indicated in the budget this spring. Ontario's new finance minister says the previous Liberal government has saddled the province with a $15 billion deficit this year, more than $8 billion larger than indicated in the budget this spring. Finance Minister Vic Fedeli announced the figure on Friday morning in revealing the results of an independent inquiry into accounting practices under the Liberals. "The hole is deep and it will require everyone to make sacrifices without exception," said Fedeli in a speech delivered to a business audience in downtown Toronto. Fedeli also released the public accounts for the past year, showing the actual spending and revenue for 2017-18. It shows a deficit of $3.7 billion, rather than the balanced budget projected by the Liberals' then-minister of finance, Charles Sousa. "We will return to a balanced budget on a timetable that is reasonable, modest, and pragmatic, but we will return balance to Ontario's books," said Fedeli without providing a specific timeline. The Progressive Conservative government announced the independent inquiry in July and tasked it with probing the Liberal regime's accounting methods. 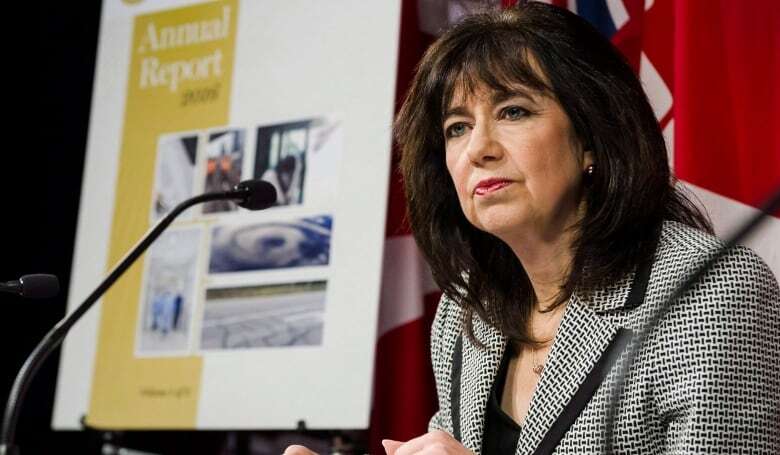 Those accounting practices had led to a two-year fight with Ontario's auditor general, who said in April that the Liberals understated their deficits by billions. Bonnie Lysyk suggested that the $6.7-billion deficit projected by the Liberals for 2018-2019 would be $11.7 billion instead, and the projected $6.5 billion for 2020-2021 would actually be $12.5 billion. The Fair Hydro Plan, long-term debt financing that is currently keeping hydro bills about 17 per cent lower than previously projected. The Liberals did not count the borrowing against the province's books, but put the financial burden on Ontario Power Generation. The auditor said a $2.4 billion annual cost was being hidden from the balance sheet. Two provincial pension funds, which the Wynne government counted as assets. The result, said the auditor, was understating this year's deficit by about $2.6 billion. In a statement circulated shortly after Fedeli's speech, Lysyk said she issued a "clean audit opinion" on the province's financial statements "for the first time in three years." She added that the statements "can be relied on to fairly and accurately present Ontario's fiscal results" for the last fiscal year "in all material respects." The Conservatives have also commissioned a line-by-line audit of government spending, which is expected to be finished in the coming weeks. 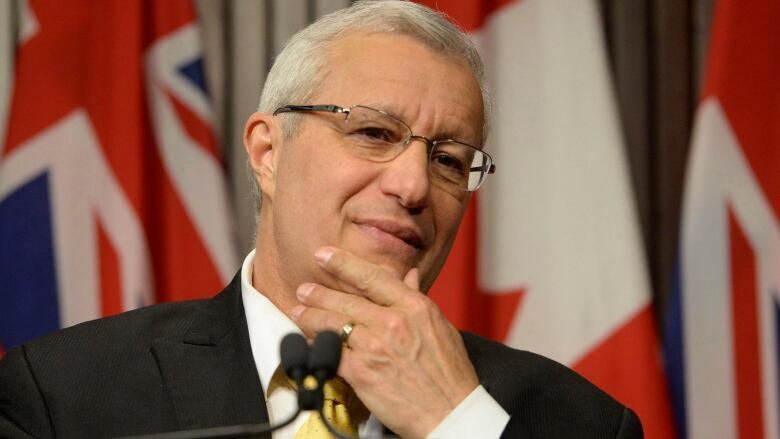 "Only when the Government of Ontario truly accounts for its real deficit position can we begin to put the province back on a path to balanced fiscal sustainability," said Fedeli. "This is why we are so quick to accept the commission of inquiry's recommendations and work, in good faith, with the auditor general on solutions." Despite repeatedly referring to the discrepancy in deficits highlighted by the inquiry as a "cover-up" and deliberate "deception" of voters by the previous government, Fedeli would not say if the matter will be referred to police. The Official Opposition and the Liberals both slammed Fedeli's speech as a pretence for cuts to social services. "What we saw from minister Fedeli was an act of political theatre meant to justify the deep, deep cuts that they are planning," said NDP MPP and finance critic Sandy Shaw. "Fedeli's words this morning were chilling, calling on every last person in our province to brace for cuts reminds people of the last time the conservatives were in power," alluding to sweeping health care changes imposed by the previous PC government of Mike Harris. Shaw also noted the Liberals behaved similarly when they took over from the PCs in 2003. The Liberal government at the time claimed its predecessor had under-stated the deficit by more than $5B and then used that figure to partly justify the imposition of a new health care tax. For their part, the Liberals accused the government of using inflated numbers for political gain, saying the figures cited by the commission were known long before the election. "It's a context for cuts," Interim leader John Fraser said. "They're going to be deep."